What’s the point of doing theater if you’re not going to have fun? Well the kids of Cowboys Don’t Sing are certainly having a blast! The new Western themed musical follows the archetypal adventures of a Cowboy who comes to save a town, only to discover he’s landed himself in not your average western village. This here town is a singin’ town. Throw in some racist jokes and witty musical theater spoofs, Cowboys is a fun farce. Created by Dennis Flynn and Johnny Kelley with a catchy score by TJ Alcala, Cowboys has a basic plot with very little stakes. There is the major conflict of trying to catch the bad guys, but the plot twist gets revealed way too early in “Act I” to propel the action forward and maintain momentum. Luckily, the comedy helped the show remain engaging. Like the recurring joke of a perpetually dying actor by gun shot, though a stock idea, had a fresh new take. Two standout numbers included “Do.-“, a song about Morse code smartly including tap and “Language Barrier”, a show stopping Act II song featuring a translator that stole the scene. Without spoiling too much, “Intermission the Musical” could have earned its place with much more conviction. Cowboys features an ensemble of fresh faced talent. Despite the amateur feeling, the ensemble is dedicated to doing their best. Though not all of the cast could actually sing, you forgave it as comedy. The company played well with each other with some signature performances. Megan Beatty as Alice epitomized the standard musical theater ingénue with hilarity. Matt Van Orden is a natural comedian as Sheriff. As Donald the drunk, Terence Petersen had some great comedic moments. Tim Rozmos played Shadow the Horse entertainingly, earning his “Act II” number. Jeffrey Sharkey was delightfully awkward as Max. Justin Clark brought the funny in his various bit parts. But it was Steve Tyson, who was granted the witty recurring joke, that stole the show by the end. While Cowboys is non-stop action, it’s truly a funny idea with great potential that needs some more work. Perhaps with a fresh eye director to step in and take the reigns and fix up the messy bits, Cowboys could go somewhere. 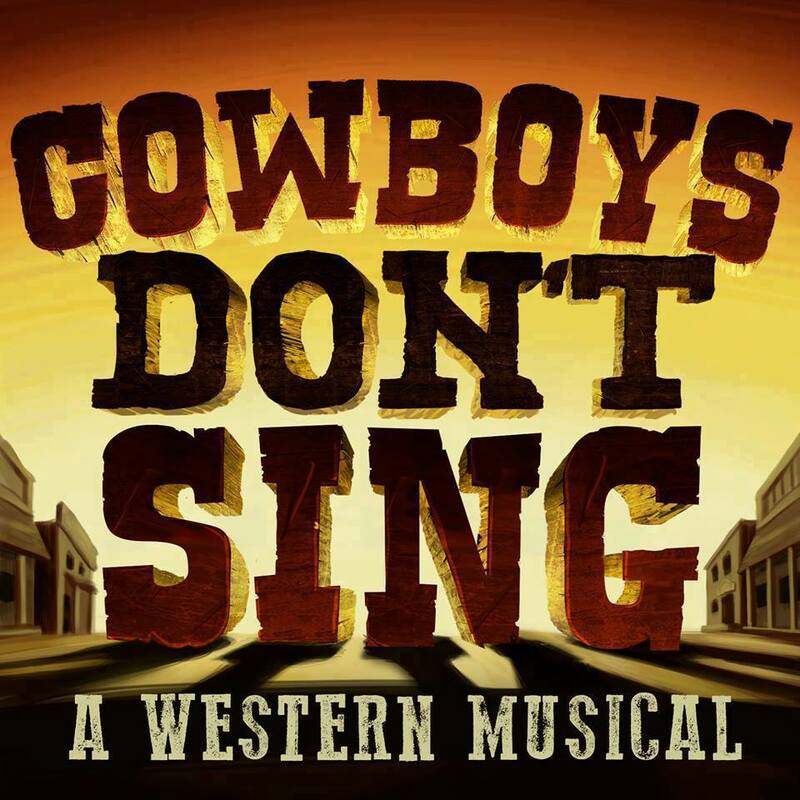 Cowboys Don’t Sing is not your big budget musical, but check it out because you’ll want to brag that you saw an early version of it!